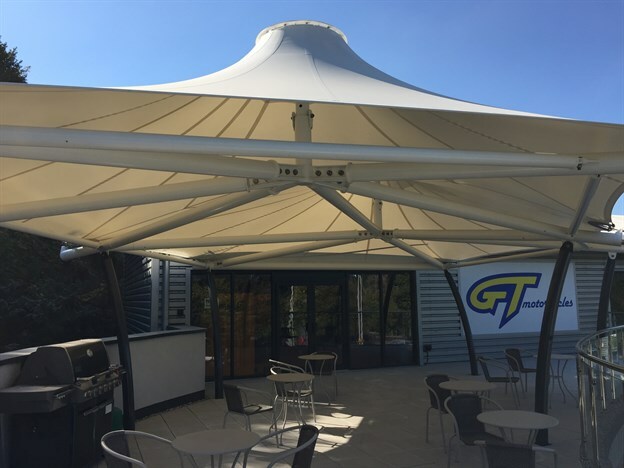 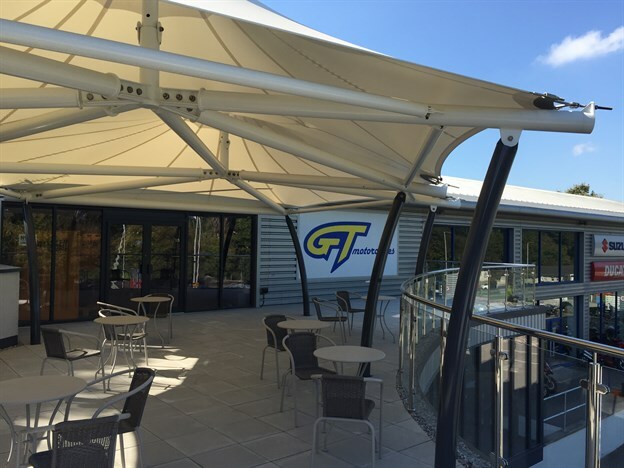 We created this fabulous bespoke double conic canopy for GT Motorcycles 2012 Ltd in Plymouth. 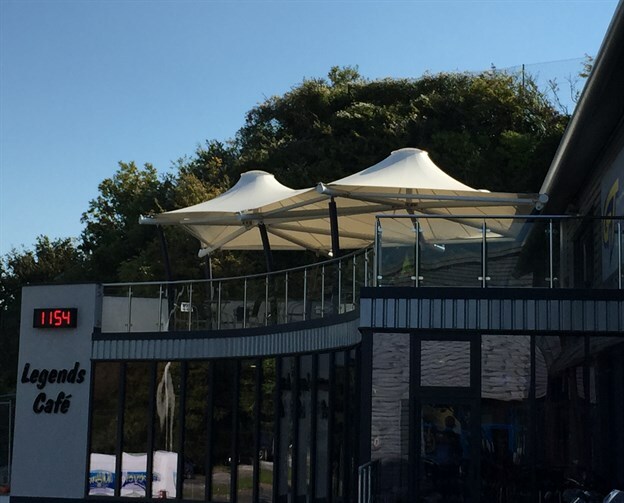 The motorcycle showroom has a popular café and needed to provide a covered outdoor seating area for its customers as well as further space for events and social gatherings. 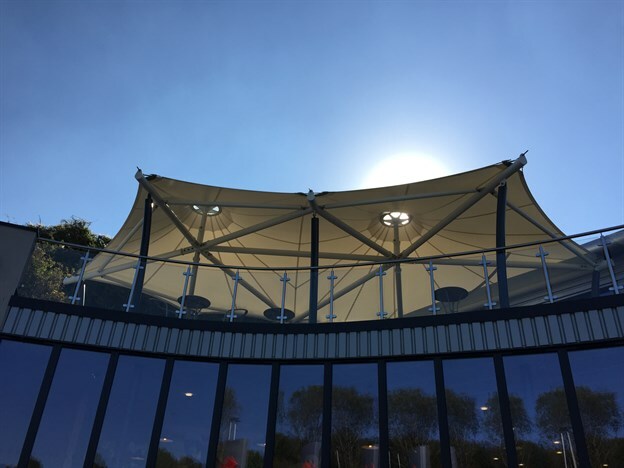 We designed the structure to suit the already planned deck area, detailing a support frame that takes most of the tensile loads out, leaving only uplift for the building frame below to deal with. 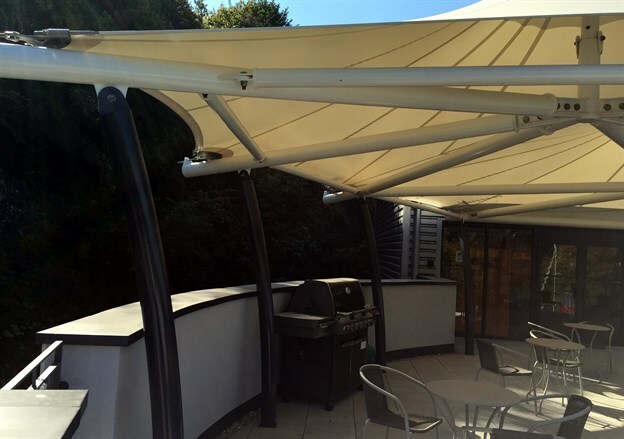 The frame is a 2 pack coated mild steel – in contrasting colours to highlight the uprights, and lose the upper frame. 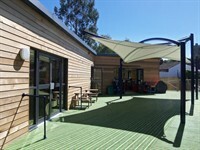 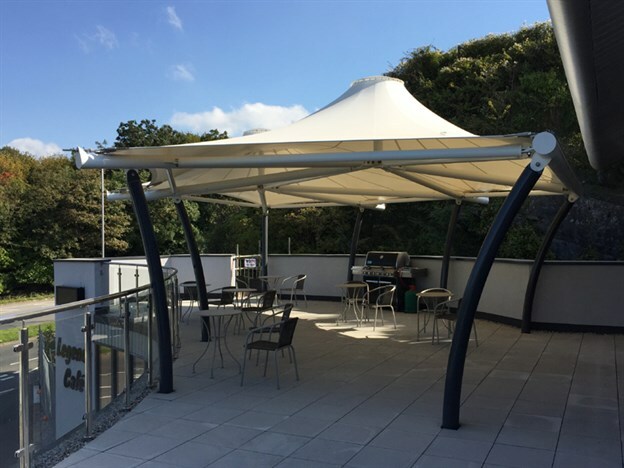 The PVC coated white polyester fabric has a design life of around 20 years with annual cleaning, while the stainless steel fixings will only need a buff up! 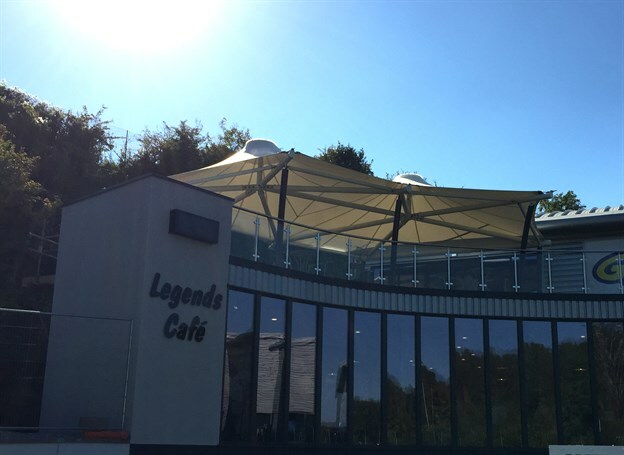 Bespoke canopies of this type do require complex design detailing and engineering analysis – all completely within our capacity. 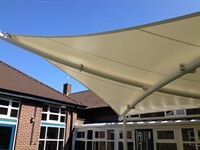 Should your scheme be of this type, you should consider a design period of 3 weeks, manufacture of around 5 weeks and a 4 day install.